Lock Attachments Can Be Supplied. Price Upon Request. #T1 For Sizes .059 (1.5mm) Major Dia. Thru .230 (5.75mm) Major Dia. #T2 For Sizes .230 (5.75mm) Major Dia. Thru .365 (9.125mm) Major Dia. #T3 For Sizes .365 (9.125mm) Major Dia. Thru .510 (12.75mm) Major Dia. 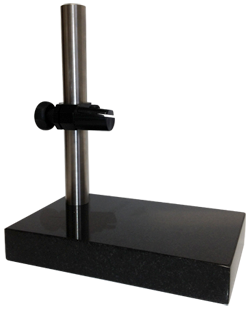 The large 5″ x 8″ x 1-1/4″ flat base will accommodate the part or any fixture required to support the part to be measured. Post: 1″ Diameter x 8″ High Standard. Special Post height upon request. 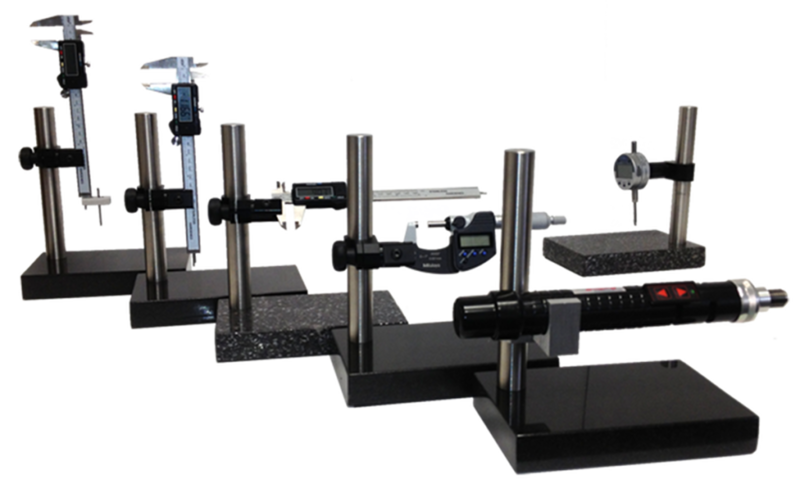 Multimatic Products Inc. Electronic Digital Calipers, with their many features, allows a full range of inspection applications. 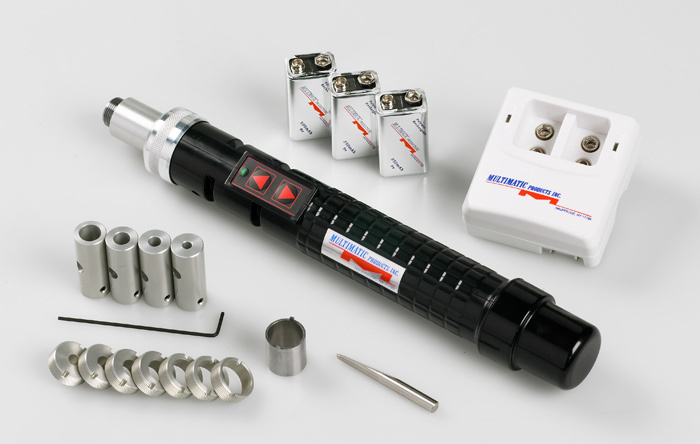 The four buttons helps utilizing the caliper for various types of inspections. 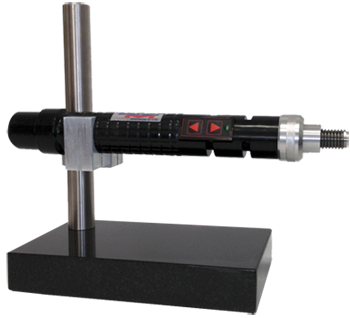 The smooth sliding action of the movable jaws assist in obtaining greater accurate measurements.